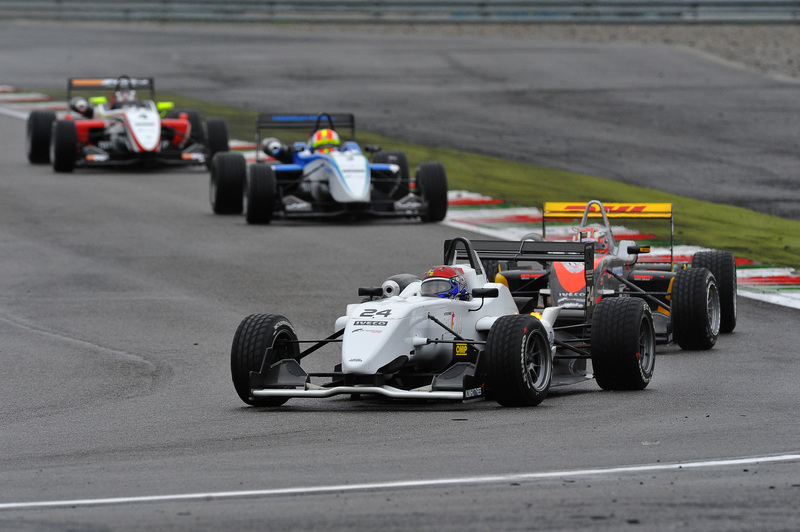 01/06/2011 - Just a few days are left to the second round of the Italian Formula 3 2011 Championship, on stage this weekend at the circuit of Misano Adriatico. After the thrilling season opener, new and exciting action is awaited for the prestigious tricolored series that reached this year the 46th edition and that benefits from Fiat Powertrain Racing engines since 2008. The values on the field are all to be discovered still. Daniel Mancinelli (RP Motorsport) and the Frenchman Brandon Maisano (BVM-Target) were the first two winners of 2011 and witnessed a generation challenge between rookies and more experienced drivers; the first round of the season saw anyway several different drivers alternating on top of the charts. The recent collective tests was also characterized by an extraordinary performance equlibrium with eight drivers within six tenths of a second. Edoardo Liberati will be ready to live a weekend as absolute protagonist, after the fastest time in collective tests with a laptime of 1´31.385 at an average speed of 166,478 km/h, going through the tests chart we can expect that he will be followed closely by the Brazilian Victor Guerin (Lucidi Motors), Mancinelli, the Californian Michael Lewis (Prema Powerteam), Sergio Campana (BVM-Target), the two Lucidi Motors' colors bearers, Kevin Giovesi and Eddie Cheever and by the Argentine Facu Regalia (Team Ghinzani) who set a fastest time just 560 thousands shy from Liberati's time. The weekend is going to start this Friday with free practice at 10.10 and 15.25 (local time, GMT+2), while qualifying will be on Saturday (10.10) as well as race one (16.15). Finally, Sunday at 10.10 race two will see green lights.